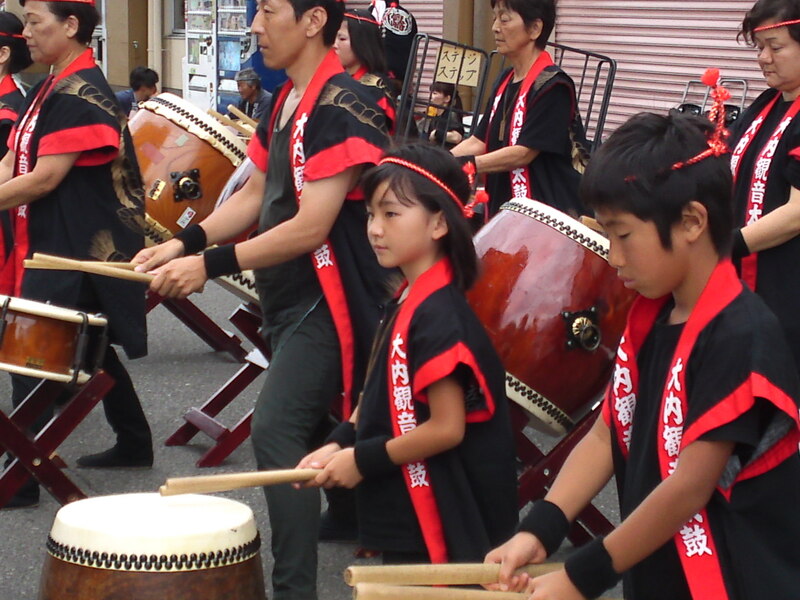 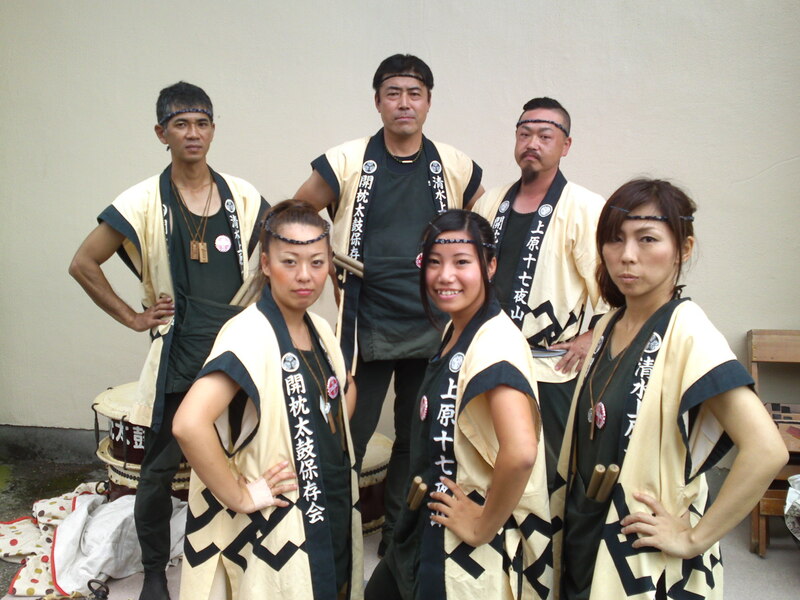 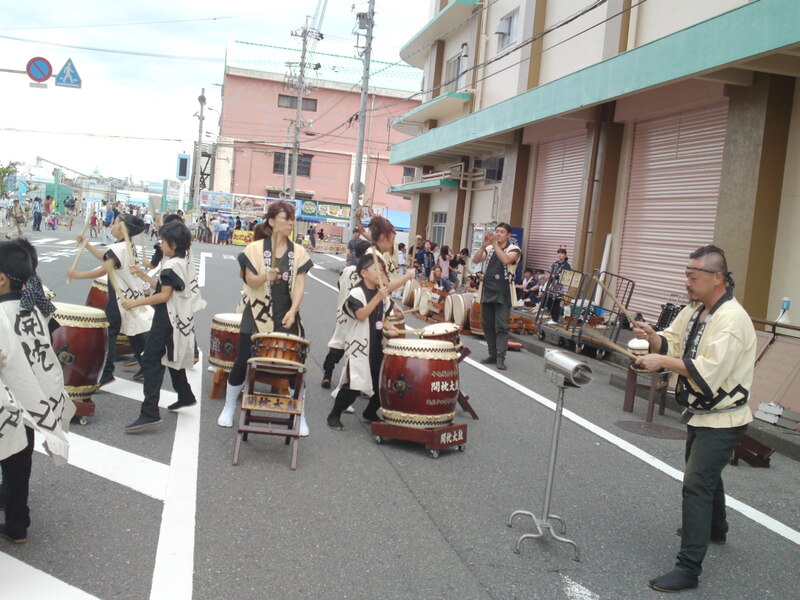 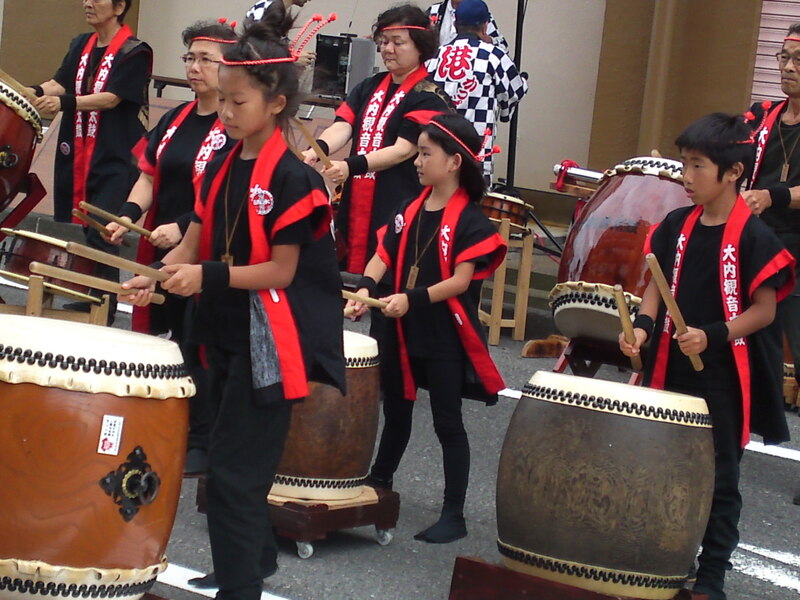 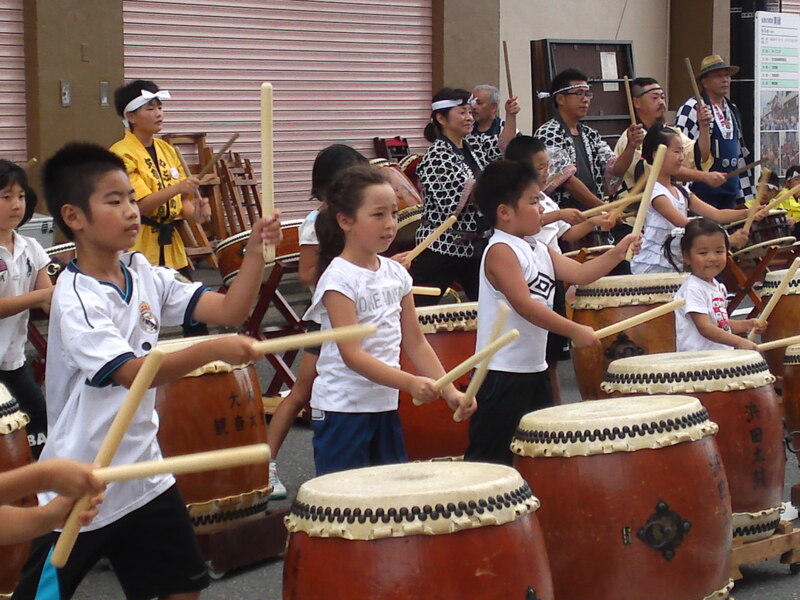 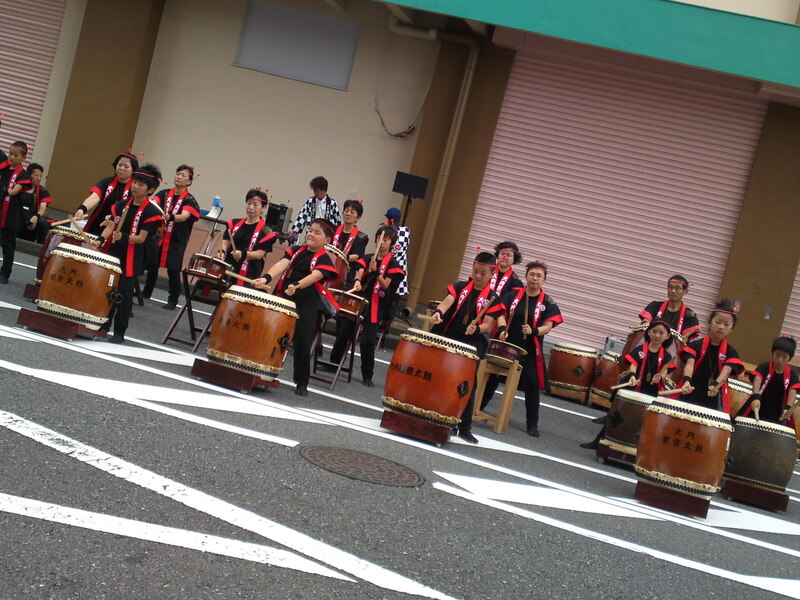 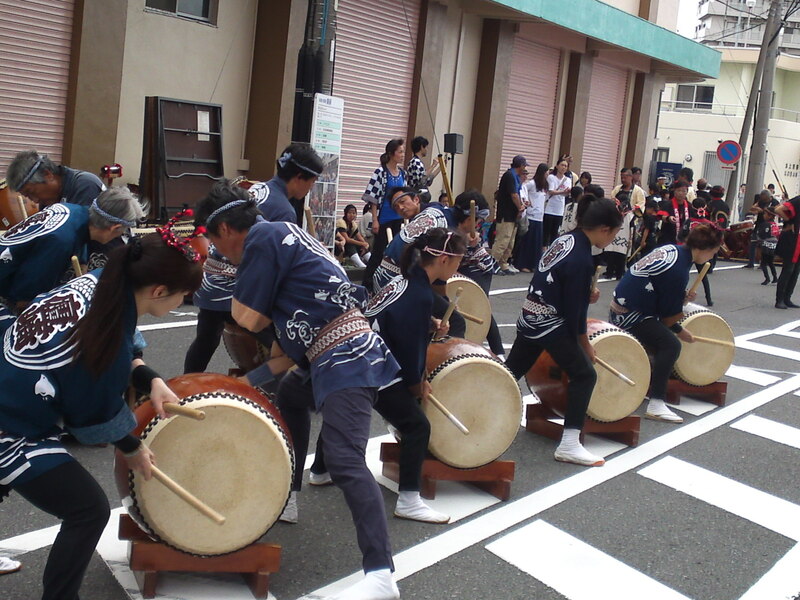 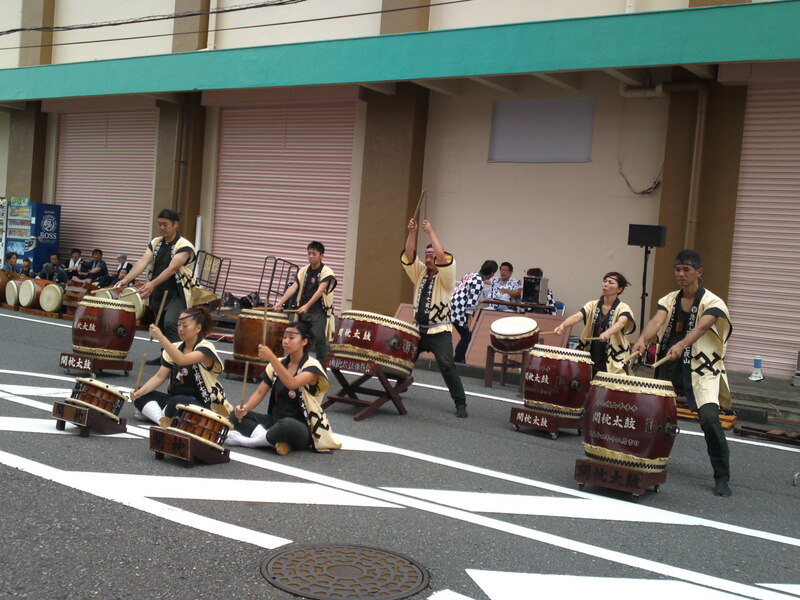 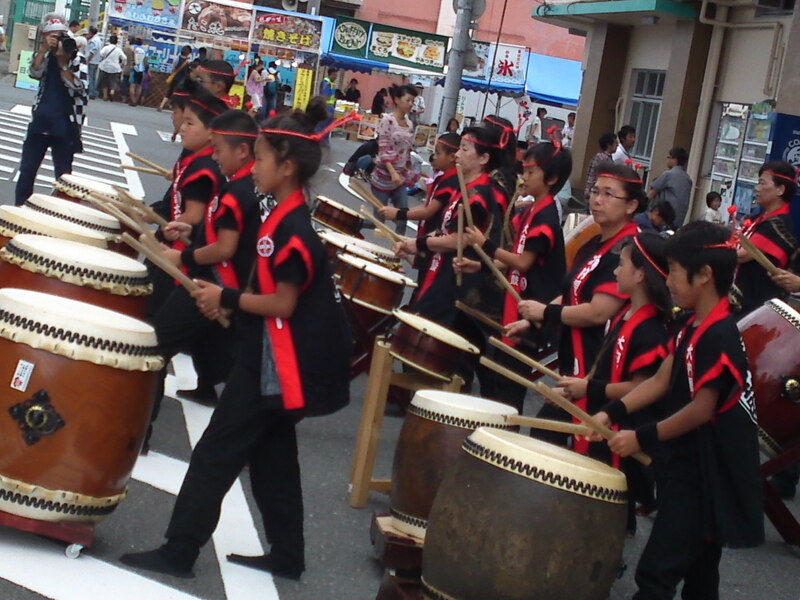 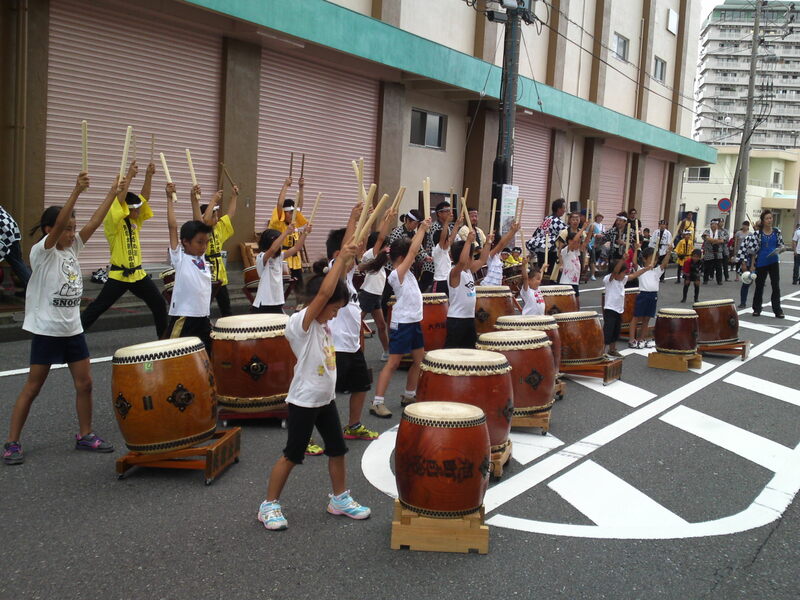 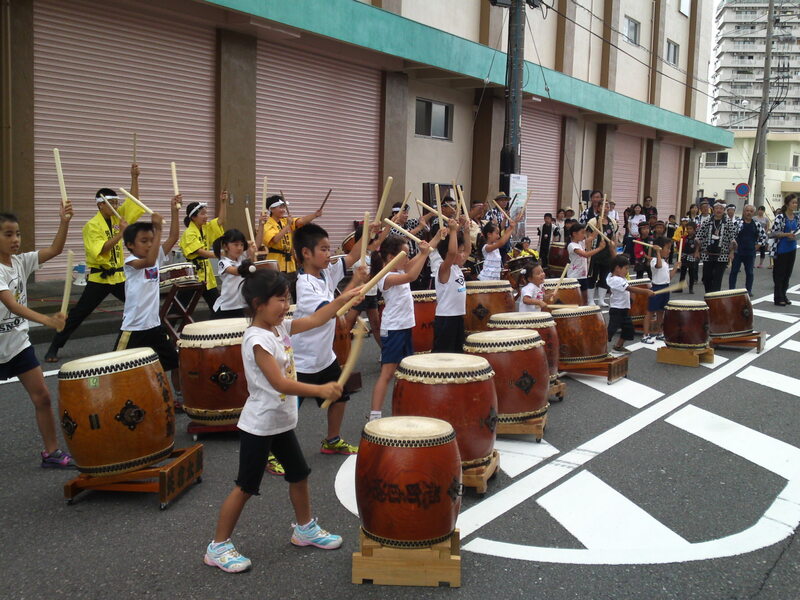 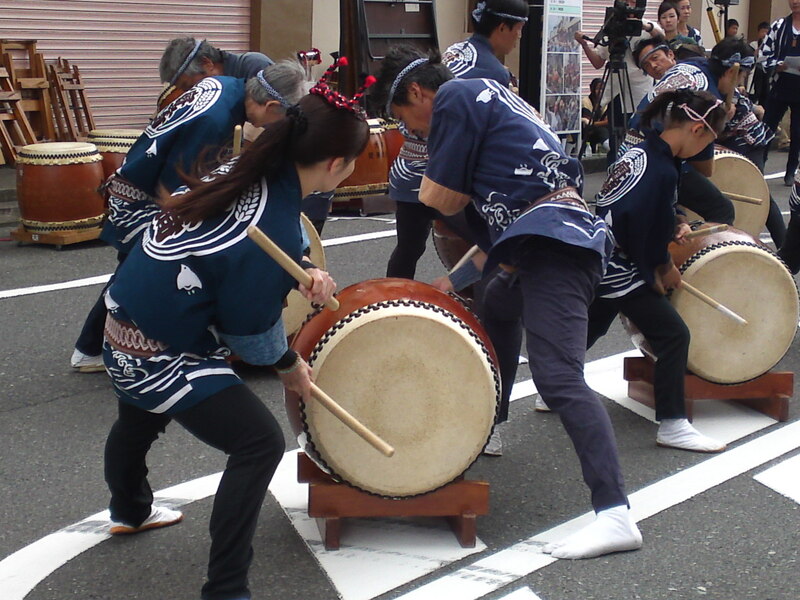 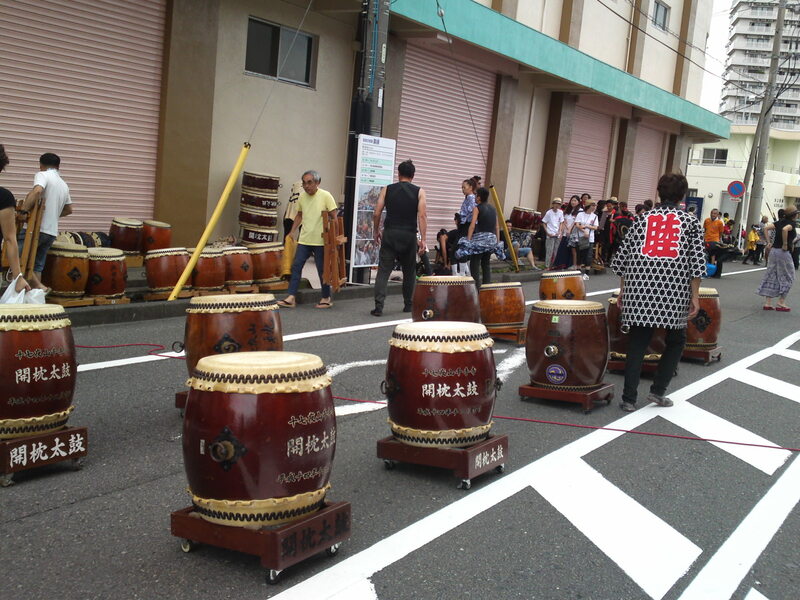 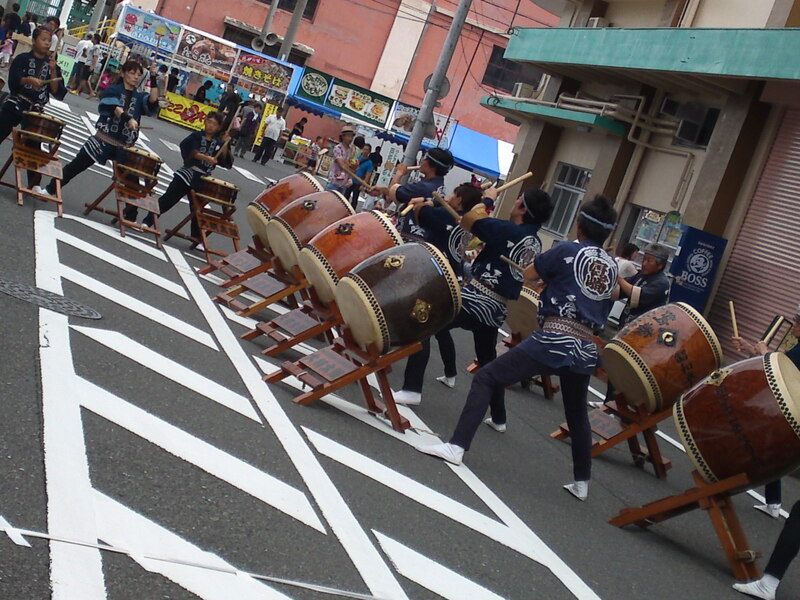 Drummers at Shimizu Harbor Festival! 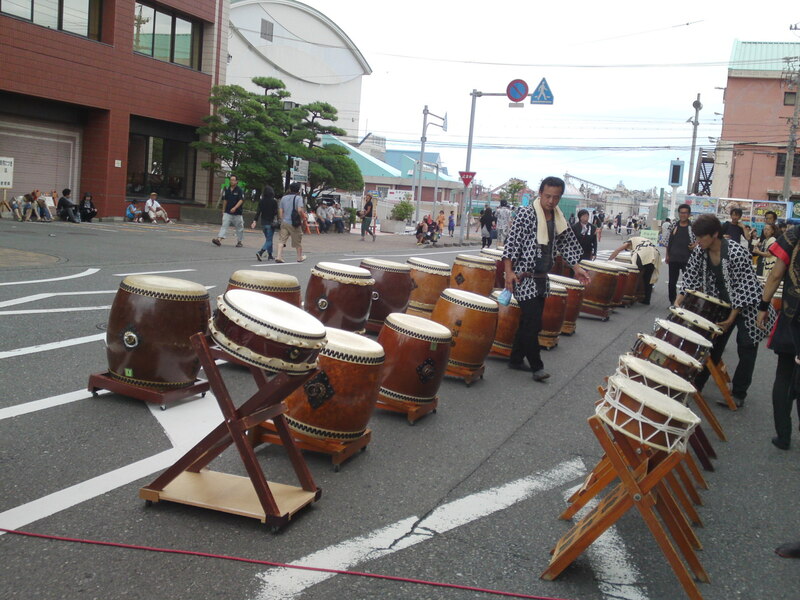 On the first week end of August every year a festival is held in Shimizu Harbor, Shimizu Ku (formerly Shimizu City), Shizuoka City. 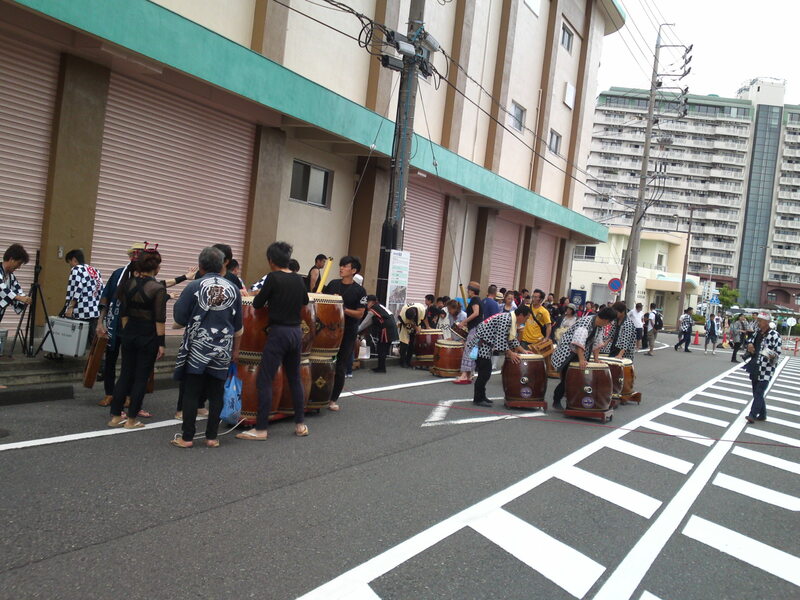 I finally managed to visit it on its last yesterday and one of the events that particularly attracted me were the drums played by different local amateur groups! 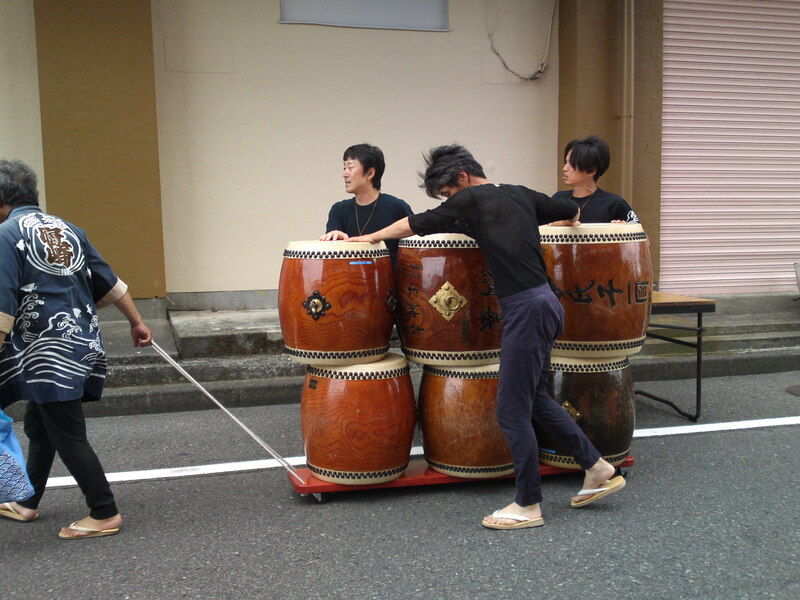 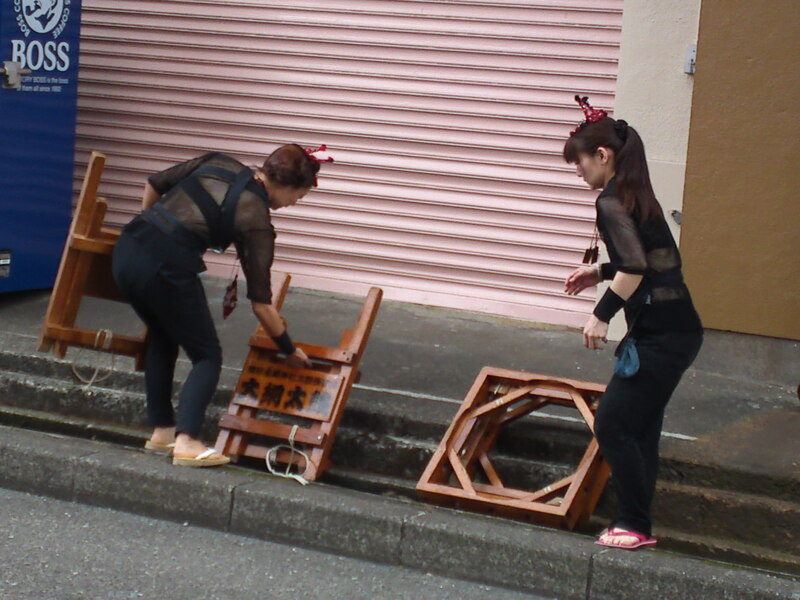 I cam early enough to witness the preparations! 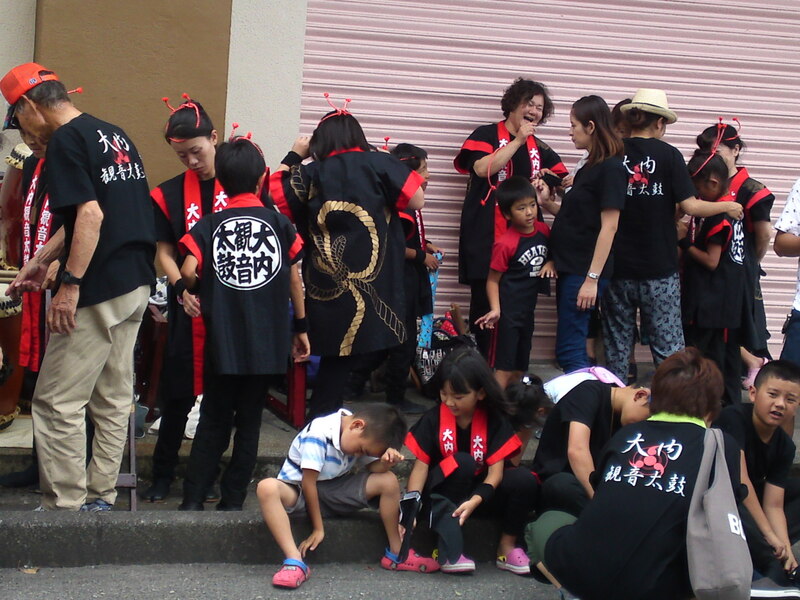 A lot of prep talk as ever! 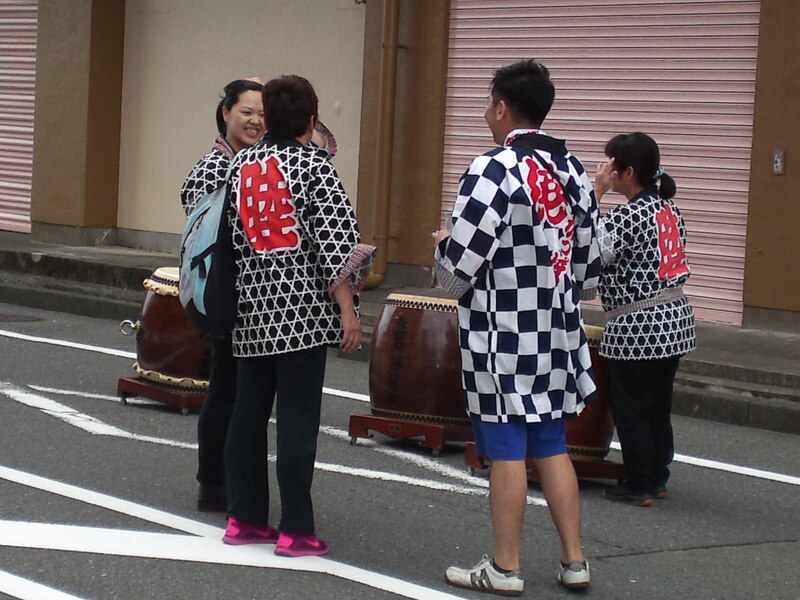 Each group brought their own drums! 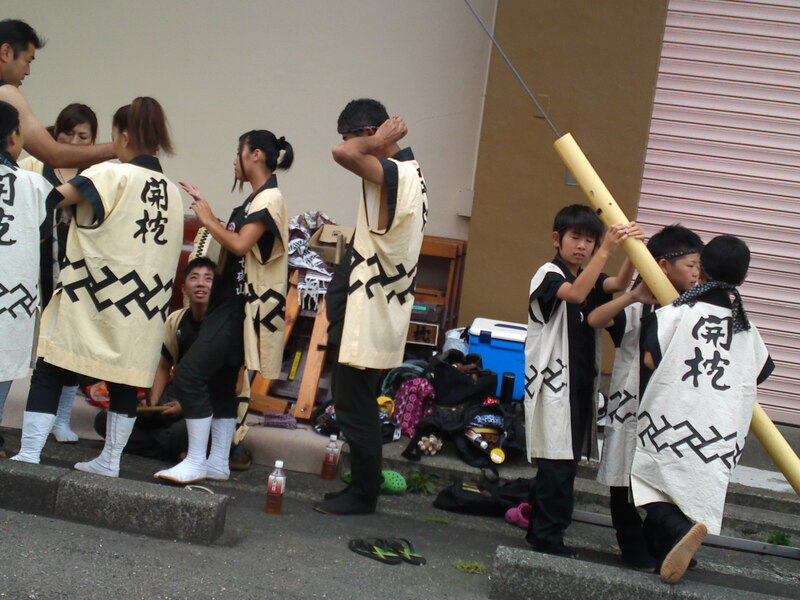 Taking it easy before the action! 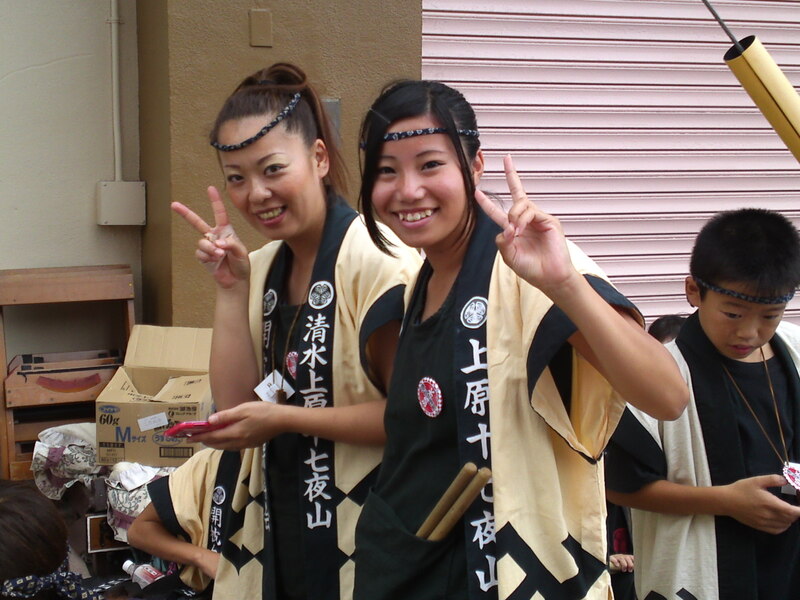 Still smiling on the third day of the festival! 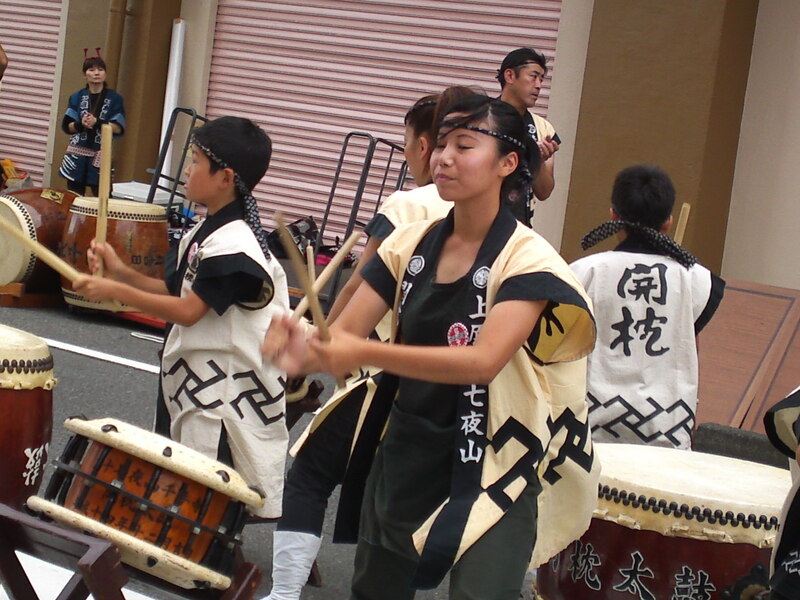 The next group had an unusual technique! 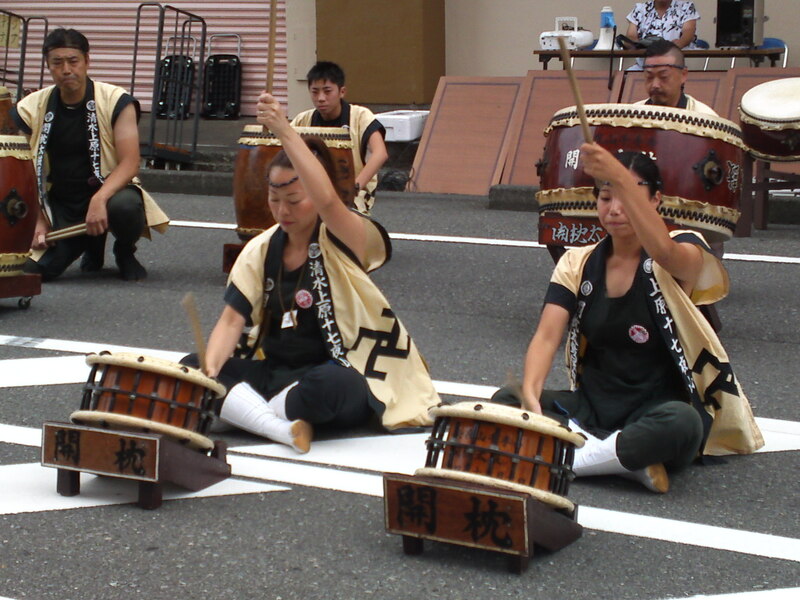 Back to a more traditional technique! 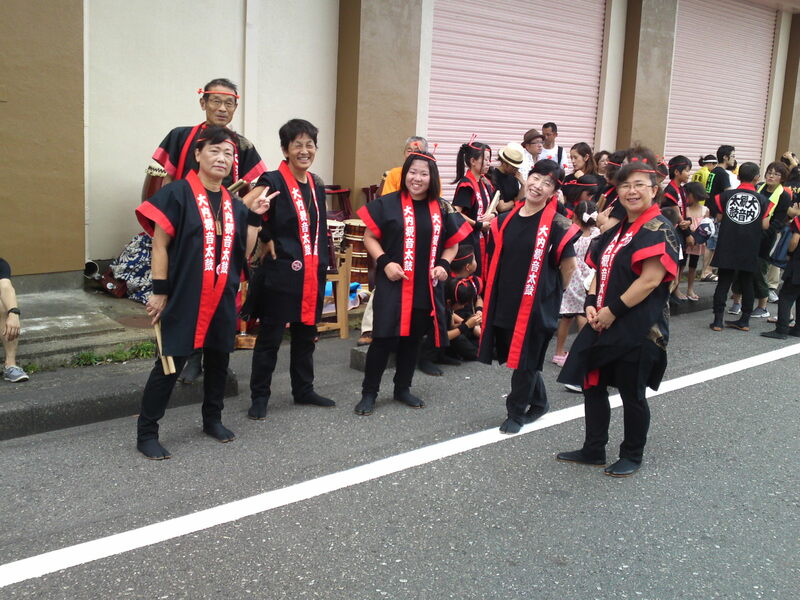 Change of colors with the next group! 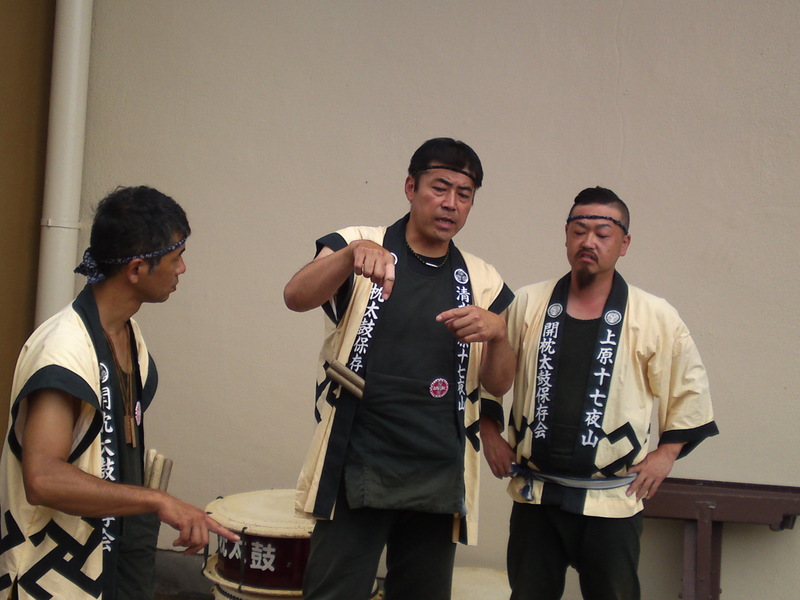 The men of the next group conferring! 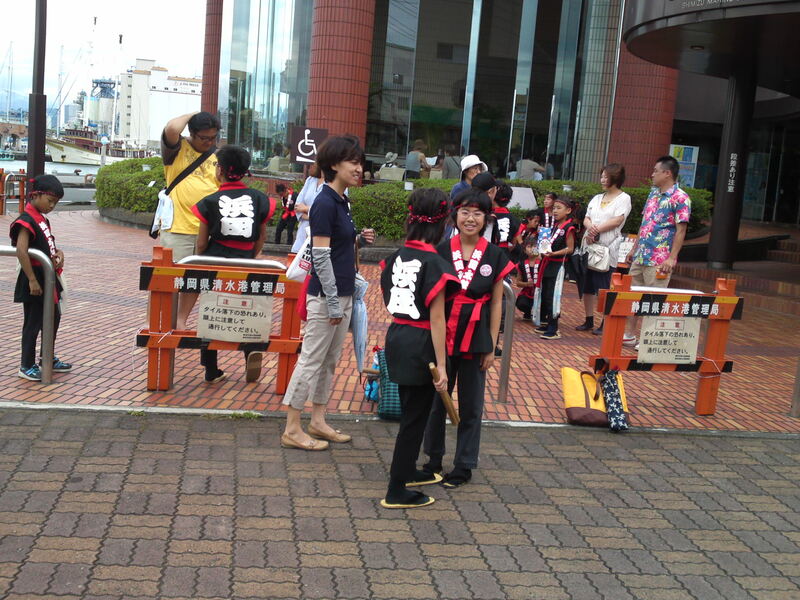 Smiling faces from the same group! 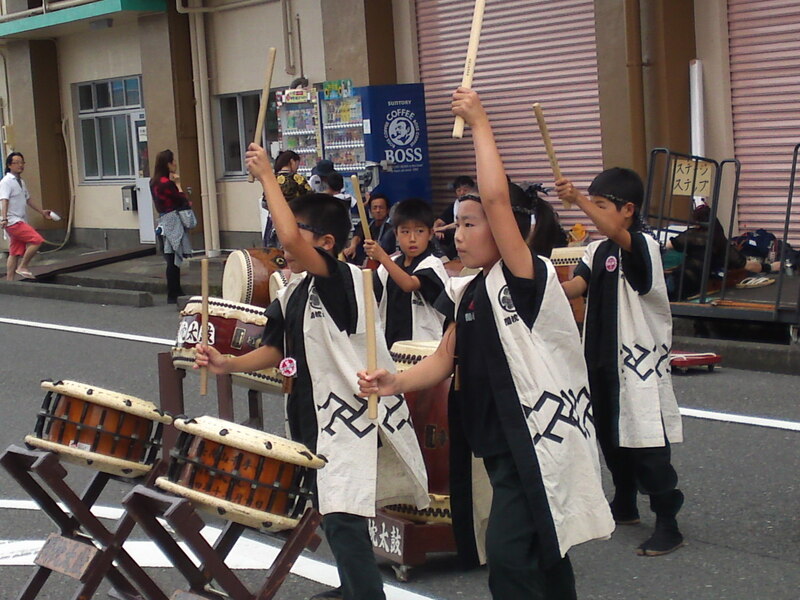 The younger members in action first!